Someone over on NeoGAF recently started a thread devoted to "system sellers," i.e., must-have games that push people to buy a particular system. I have yet to add my two cents to that discussion, but I thought it might be fun to do so here. So, without further ado, here are the systems I've owned over the years and the games that forced me (yes, forced me) to buy them. 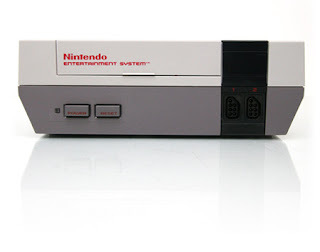 I've been a loyal Nintendo fan all my life, so the fact that there WAS a new system was seller enough for me. But if I ever had the money lying around, I'd buy a PS2 for Katamari Damacy. Hey there, J. Yep, I knew Monster Hunter Freedom was the PSP version - it's what got me to take notice of the game (I didn't realize until recently that the PS2 versions made it to the U.S.). I'm actually in the same boat as you, Justin - just knowing that Nintendo is about to release a new system usually is enough for me. Still, it doesn't hurt to have launch games like SMB, Super Mario World, Super Mario 64, Wii Sports, etc. Is this one of the best LGBT blogs in the world? The Advocate: Are Video Games Getting Gayer?